Steiber was not with his unit, who were the soldiers on the ground in the video. He was back at his base with the incident occurred. While not absolving of responsibility those who carried out the killing, Steiber blames the “larger system” of the US military, specifically how soldiers are trained to dehumanize Iraqis and the ROE. “We have to address the larger system that trains people to respond in this way, or the same thing will probably happen again,” Steiber told Truthout. Josh Steiber has been speaking out in other places too. Listen to or read his interview with Glenn Greenwald. Elaine asked Josh about how he became a conscientious objector, and how we can get more troops to take that step and resist the military. Josh talked about the responsibility that this society as a whole has for what the US military does and how it does it. Educating people is the key, he said. He talked about the military cadences that troops learn in basic training: songs about killing children and blood flowing. Target practice not on bull’s-eyes, but on the silhouettes of Middle Eastern stereotypes. For him, it took 2 years before he even found out that conscientious objecting was an option at all. with the troops, he said. To understand the psychology drummed into troops he recommended this video on YouTube, “Die Terrorist Die.” He also recommended that we use the Wikileaks video to show potential recruits what exactly they will be expected to do in the military. She also emphasized how important it is that some troops are speaking out; changing their views, resisting, and leaking these videos. A student from UCSB talked about the speakout they held on their campus earlier that day, and their plans to project the video onto a wall outside on Monday. They also plan to bring the We Are Not Your Soldiers tour to speak before the end of the semester. The call ended with some more discussion of our plans going forward: the Crimes Are Crimes statement, visible protest such as when General Petraeus comes to NYC later this week, and other ideas people have, for creating video responses to the Wikileaks video, to talking to soldiers. Thank you to Josh Steiber and everyone who participated in this call. 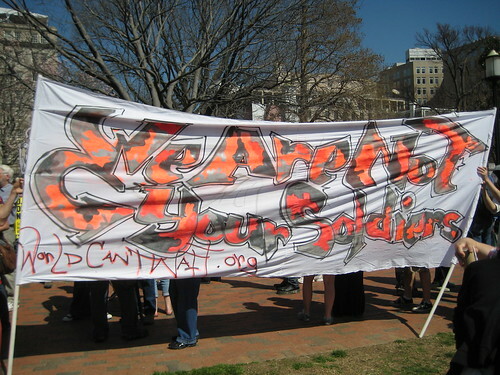 I invite you to join Cornel West, Cindy Sheehan, Ray McGovern, Carl Dix, Bill Quigley, William Blum, Ann Messner, Joyce Kozloff and hundreds more in signing a new statement: Crimes Are Crimes – No Matter Who Does Them (see below). We are going on record to separate ourselves from the direction Obama is heading, and giving voice to the growing opposition to the crimes still being carried out in our names. It is time to end the silence and say clearly: that which was a crime under Bush is a crime under Obama. See Crimes are Crimes – No Matter Who Does Them. You may sign by going to the link above, or emailing debrasweet@worldcantwait.net. In the past few weeks, it has become common knowledge that Barack Obama has openly ordered the assassination of an American citizen, Anwar al-Awlaki, because he is suspected of participating in plots by Al Qaeda. Al-Awlaki denies these charges. No matter. Without trial or other judicial proceeding, the administration has simply put him on the to-be-killed list. During this same period, a video leaked by whistleblowers in the military showing U.S. troops firing on an unarmed party of Iraqis in 2007, including two journalists, and then firing on those who attempted to rescue them – including two children – became public. As ugly as this video of the killing of 12 Iraqis was, the chatter recorded from the helicopter cockpit was even more chilling and monstrous. Yet the Pentagon said that there would be no charges against these soldiers; and the media focused on absolving them of blame – “they were under stress,” the story went, “and after all our brave men and women must be supported.” Meanwhile, those who leaked and publicized the video came under government surveillance and are targeted as “national security” threats. Also during this period, the Pentagon acknowledged, after denials, a massacre near the city of Gardez, Afghanistan, on February 12, 2010, in which 5 people were killed, including two pregnant women, leaving 16 children motherless. The U.S. military first said the two men killed were insurgents, and the women, victims of a family “honor killing.” The Afghan government has accepted the eyewitness reports that U.S. Special Forces killed the men, (a police officer and lawyer) and the women, and then dug their own bullets out of the women’s bodies to destroy evidence. Top U.S. military officials have now admitted that U.S. soldiers killed the family in their house. Just weeks earlier, a story broken in Harper’s by Scott Horton carried news that three supposed suicides of detainees in Guantánamo in 2006 were not actual suicides, but homicides carried out by American personnel. This passed almost without comment. Such measures by Bush were widely considered by liberals and progressives to be outrages and were roundly, and correctly, protested. But those acts which may have been construed (wishfully or not) as anomalies under the Bush regime, have now been consecrated into “standard operating procedure” by Obama, who claims, as did Bush, executive privilege and state secrecy in defending the crime of aggressive war. Unsurprisingly, the Obama administration has refused to prosecute any members of the Bush regime who are responsible for war crimes, including some who admitted to waterboarding and other forms of torture, thereby making their actions acceptable for him or any future president, Democrat or Republican. The things that were crimes under Bush are crimes under Obama. Outrages under Bush are outrages under Obama. And all this MUST BE RESISTED by anyone who claims a shred of conscience or integrity. Currently anti-abortion ads are running on NYC subways. 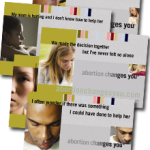 Abortionchangesyou.com perpetrates confusion, shame, guilt, and disinformation to discourage women from having abortions. 1) A new campaign, hatched moments ago at the “From Abortion Rights to Social Justice; Building the Movement for Reproductive Freedom” is AbortionEmpowersyou.com. What is your abortion story? 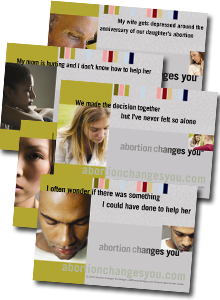 How did abortion change your life? 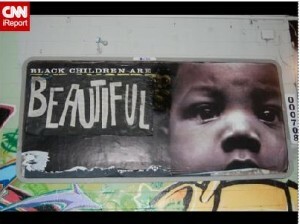 How would you do a creative alteration of the AbortionChangesYou ads? 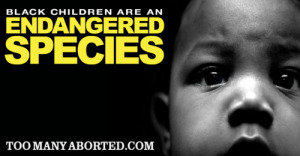 Abortionchangesyou.com promotes an aura of shame and guilt around abortion and contributes to the lie that to have an abortion is to murder a baby. This comes in the guise of concern for women and providing emotional support for them. The anti-abortion agenda of these ads has been exposed in a New York Times article, which points out that the site directs people to pro-life groups with the Catholic Church and the site’s founder has collaborated with Feminists for Life. Join us April 17th to break the silence and shame and declare that women are human beings, and there is absolutely nothing wrong with abortion! A fetus is NOT a baby!